In order to maintain equity in judgment, judges must fear God more than man. When King Jehoshaphat began his reforms in Judah, one of the first things he did was to appoint righteous judges. He sternly admonished them in this same manner, “Consider what you do, for you judge not for man but for the LORD. He is with you in giving judgment. Now then, let the fear of the LORD be upon you” (2 Chronicles 19:6–7). 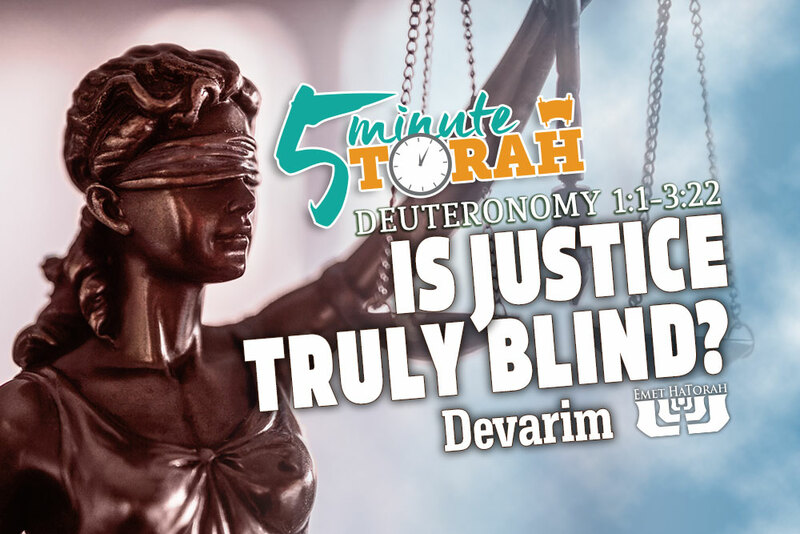 Every judge who renders a just verdict causes the Shechinah to hover over Israel, as it is said: “God stands in the congregation of God; in the midst of the judges He judges” (Psalm 82:1). But every judge who renders an unjust verdict causes the Shechinah (the Divine Presence) to depart, as it is said: “For the oppression of the poor, for the sighing of the needy, now will I arise, says the LORD” (Psalm 12:6). Rashi, however, commenting on this verse, brings up a good point. How do we reconcile this issue of impartiality with the fact that even minor judgments against the poor could be devastating? And it seems that Scripture frequently advises judging in favor of the poor. Proverbs tells us, “Open your mouth, judge righteously, defend the rights of the poor and needy” (Proverbs 31:9). Isaiah, when speaking of the Messiah, says, “with righteousness he shall judge the poor, and decide with equity for the meek of the earth” (Isaiah 11:4). James, the brother of our Master, contends, “Are not the rich the ones who oppress you, and the ones who drag you into court? Are they not the ones who blaspheme the honorable name by which you were called?” (James 2:6–7). How do we contend with passages such as these? Rashi knows that there will be judges who are tempted to side in favor of the poor, simply because of their social and financial status. But he also realizes that there might be judges who are tempted to rule in favor of the rich in principle, but would overextend their authority to have them reimburse the expenses of the poor after the trial. Neither of these situations, however, are acceptable according to the Scriptures. God is a god of justice, and if there is partiality in judgment the whole system collapses. From the beginning, Moses reminds us that “the judgment is God's.” Those in authority are to judge with equity and without partiality. Restore our judges as at first and our counselors as at the beginning, and remove from us sorrow and groan. May You, LORD, alone reign over us with kindness and compassion and justify us with judgment. Blessed are You, LORD, the King who loves righteousness and judgment. May the Righteous Judge return to establish his rule in our days. Maranatha!